There seems to be a running theme during these years in that the studios were interested in giving off the impression that their actors did all of their own stunts. It’s only with time that we’ve gotten a full picture of who doubled for whom on what picture. Many of these stunt performers took this knowledge to their graves and never told anyone, but sometimes over the years, the secret has been revealed in many cases. The Best Movie Stunts for 1921 and 1922 are very interesting in that they are nods given to the other person in the tandem of actor and stunt double. Charles Lewis was the stand-in and stunt performer for Douglas Fairbanks on many of his films but most notably on this one. 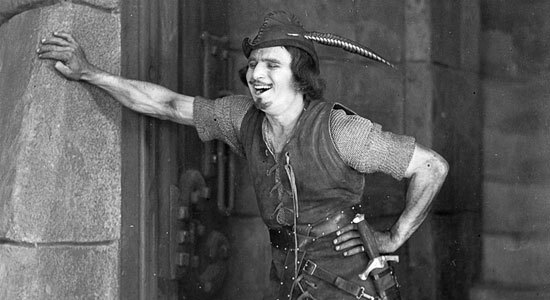 Douglas Fairbanks was so thankful for Charles Lewis over the years that he left him $10,000 in his will when he died. 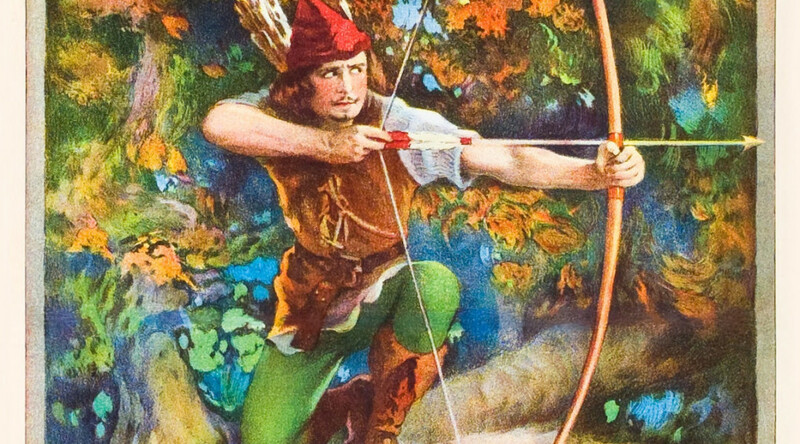 This was one of the first screen versions for Robin Hood (1922) and was directed by Allan Dwan for Douglas Fairbanks Pictures Corporation, released by United Artists. This movie has the distinction of being the first to have a gala premiere. Theater owner Sid Grauman conceived the idea. The premiere was held at Grauman’s brand-new Egyptian Theater in Hollywood. The most expensive movie at its time. It cost $1.4 million. 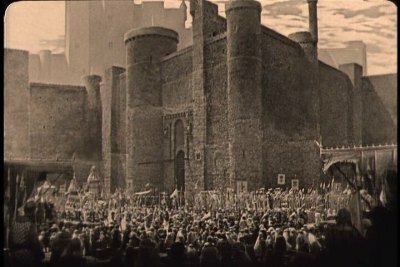 The castle is reputed to be the largest Hollywood set built for any silent movie. Lloyd Wright, Frank Lloyd Wright’s son, designed at least one set which he later remodeled as a temporary band shell for the Hollywood Bowl. Stunt Double – A stunt double is a type of body double, specifically a skilled replacement used for dangerous film or video sequences, in movies and television (such as jumping out of a building, jumping from vehicle to vehicle, or other similar actions), and for other sophisticated stunts (especially fight scenes). Stunt doubles may be used in cases where an actor’s physical condition precludes a great amount of physical activity (such as when the actor is too old to perform extended dubs choreography), or when an actor is contractually prohibited from performing stunts. Stunt doubles are sometimes referred to as “stunties”. The terms stunt double and body double may be used interchangeably for cases where special skills (sometimes far from dangerous) are needed, such as dancing (dance double), playing the piano, or competitive skiing. Stunt doubles should be distinguished from daredevils, who perform stunts for the sake of the stunt alone, often as a career. It should also be noted that sequences often do not place stunt doubles in the same mortal peril as the characters: for example, harnesses and wires can be digitally edited out of the final film. Many stunt doubles have long production careers as part of a star actor’s contractual “support crew” along with the star’s cooks, trainers, dressers, and assistants. Often stunt doubles have to look like their respective actors, in order to keep the character’s appearance. Stunt doubles for Eddie Murphy, John Wayne, Harrison Ford, Steve Martin, Salman Khan and Michael Landon have been associated with their lead actors for decades. Some actors, for example Kane Hodder, Charlie Chaplin, Buster Keaton, Bruce Lee, Jet Li, Jayan, Donnie Yen, James Garner, Barrett Snow, Burt Reynolds, Johnny Yong Bosch, Tom Cruise, Steve McQueen, Angelina Jolie, Michelle Yeoh,Maggie Q, Christopher Lee, Jean-Paul Belmondo, Patrick Swayze, Thora Birch, Milla Jovovich, Bridgette Wilson, Jason Statham, Dolph Lundgren, “Stone Cold” Steve Austin, Arnold Schwarzenegger and Viggo Mortensen, are known to have performed their own stunts. Jackie Chan is particularly famous for doing most of his own stunts, as well as fellow martial arts star and movie partners Yuen Biao and Sammo Hung. Indian actor, Jayan was well known for performing extremely dangerous stunts by himself and was killed while performing a helicopter stunt. Akshay Kumar is also famous for doing all of his own stunts and has done a lot of dangerous stunts. Thai martial artist and actor Tony Jaa performs his own stunts, likewise.